The San Diego Police Officers Association announced Thursday it had recognized Mayor Kevin Faulconer with an award for his commitment to addressing the police department’s years-long recruiting and retention crisis. 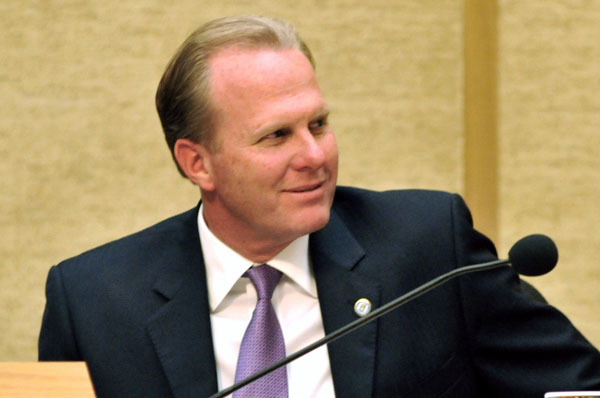 Faulconer, who rolled out a plan to address officer understaffing early in his mayoral campaign last year, accepted the police union’s “Walk the Walk” award at its recent Board of Directors retreat. Last month, the SDPOA and city leaders reached an agreement to increase police officers’ pay in an effort to deter them from seeking employment with other local agencies. The contract, worth around $92 million, includes a restoration of holiday pay and an increase in healthcare, equipment and uniform allowances. SDPOA President Brian Marvel commended Faulconer for his work to “to be the leader who finally addressed” the recruiting and retention issues.